Okay, I admit I’m weird | This is our life. That’s really cool! And I have TONS of plastic bags I can give you! :o) I’d love to get rid of them. Oh, and try holding down the shift button when you hit enter to make line breaks. This usually is what you do make a single line break for HTML/blogs that otherwise automatically put blank lines between paragraphs, but I’m guessing it would work in reverse, too! This is a really neat idea. I also have bags that I can give you for your next project. Glad to see that you started a blog too! Hi Michele: I read your story about the Plarn with some interest, as I had seen such a purse at the http://www.canadianliving.com site, which is a Canadian Women’s/Family site. 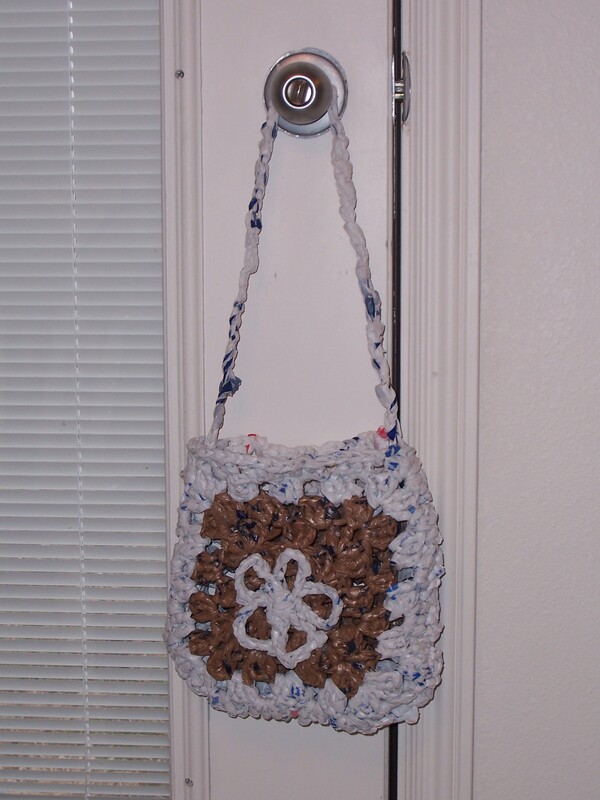 You could check it out if you want another pattern for these recycleable purses. I’m enjoying reading your blog. I’m one of the gals who has just joined your Granny Square Swap #7. Talk with you again soon.